I have been participating in the Foodie Penpals that the Lean Green Bean facilitates. This is my second month participating, but my first to receive a package. I have thoroughly enjoyed searching for food to send to my penpal. When my package arrived I was very excited to see what was inside. I didn’t even make it out of the post office before tearing into the package. Inside I found some very yummy looking items. I got a lovely card describing all the food items and ideas for how to eat some. 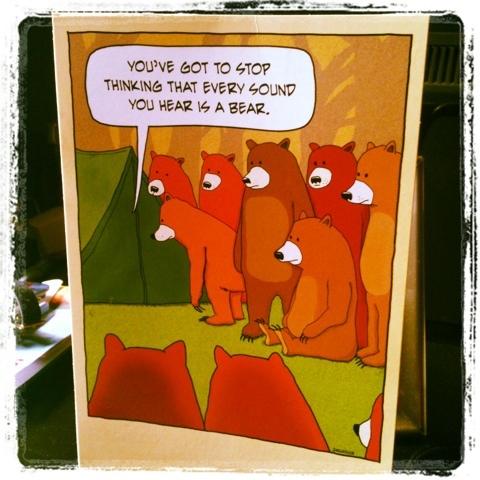 The card was so perfect for me, you would think my penpal actually knew me and my love of camping. The first thing I pulled out and tried was some dried fruit. 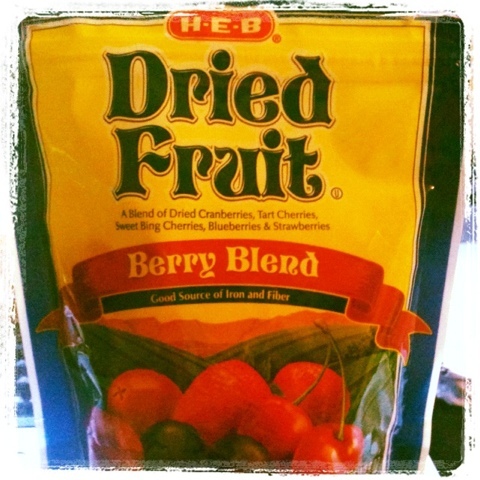 I love dried fruit so I was very excited to see this.I really liked the dried fruit, but was not very impressed with the ingredients. I try to avoid artificial sweeteners. This package of tuna made me very excited for lunch. I ate it with a tortilla and it was good, but the Italian dressing was a little overwhelming. 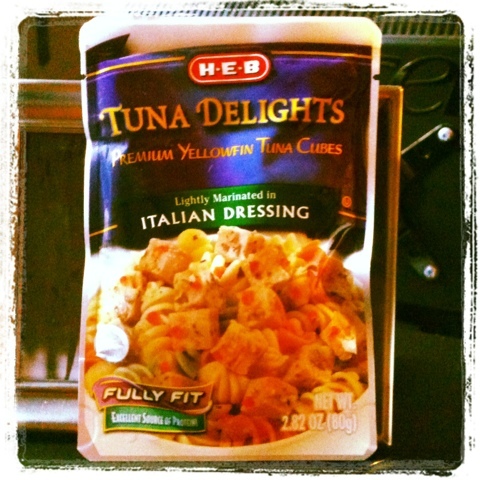 I will definitely be on the look out for a similar product for quick lunches. I was initially confused by this spaghetti, it looked like any old spaghetti. 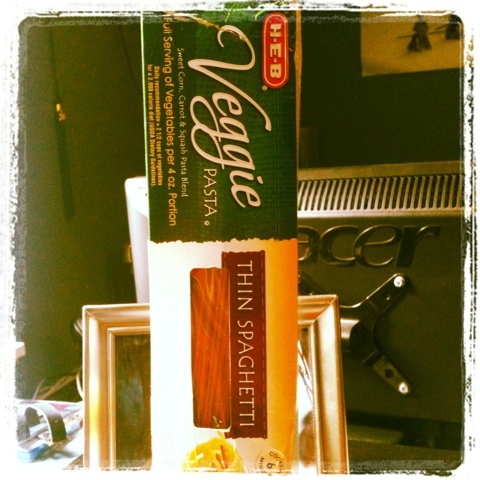 I took one more look at it and noticed in big letters “Veggie pasta.” A light bulb went off and I got excited for dinner. My penpal said that this was good with the antipasto artichoke sauce she sent (which disappeared from the fridge, so I was un-able to take a picture). The pasta was very good and we are looking forward to the rest of the box. Neither my husband nor I like artichokes in any form but the whole vegetable so we didn’t enjoy the sauce sadly. I was so excited for this sweet tea. I have been wanting to try it since I first saw it years ago. I loved the flavor, but it was a little too sweet for me. I will definitely be buying this again, but I think it will get mixed with some water to spread the sugar levels out. Sadly I am not a coffee drinker so this has not been put to use yet. 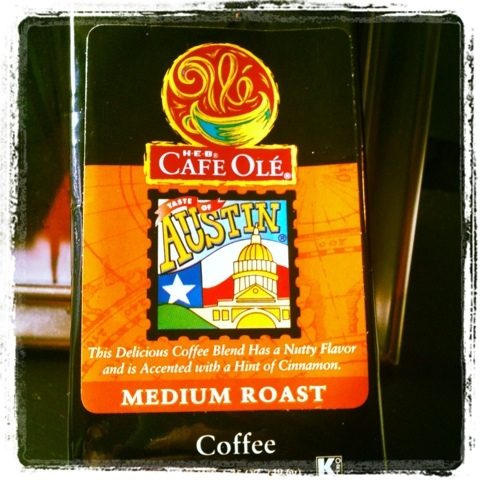 I plan on brewing it around Christmas time to use in my cinnamon rolls. 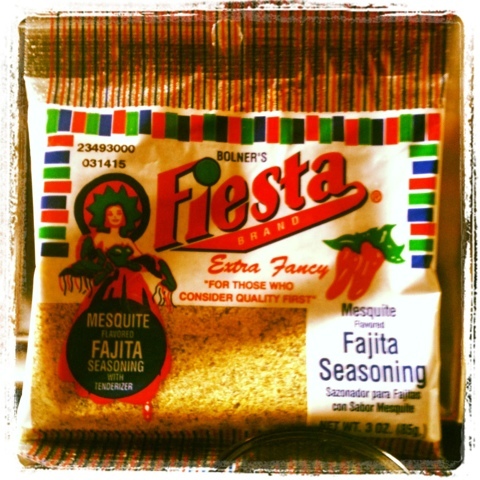 My husband and I love fajita’s so I am looking forward to using this seasoning. We are currently all out of meat proteins so it will have to wait until we got shopping on our return from Minnesota. The final item in my package was a magazine full of recipes. Most of them are new to me. I think we will be using a few in the coming months. 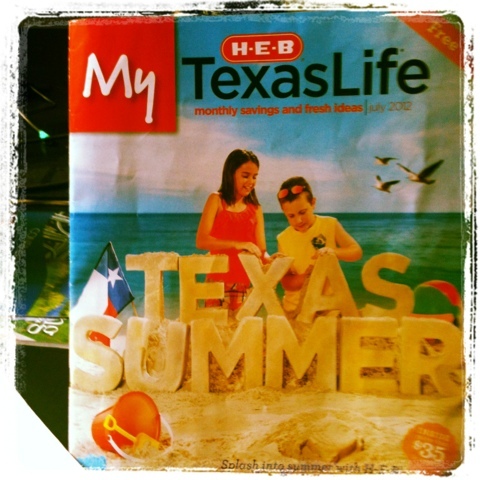 I am looking forward to August’s foodie penpals. If any of you all are interested in joining following the link at the top of this post and fill out the form. Posted in Foodie Penpals. Bookmark the permalink. Spending my days dreaming big and attaining those dreams. My current dream is to make it to the triathlon world championship. 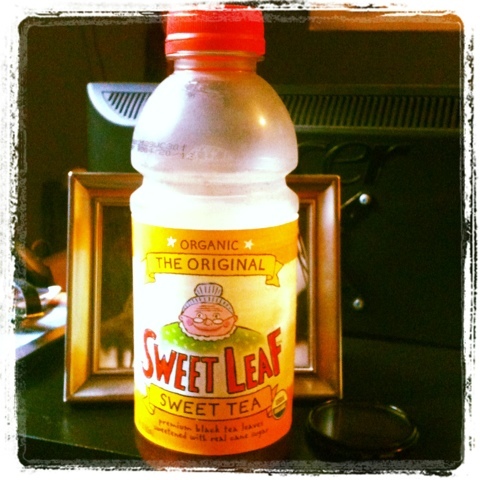 I love Sweet Leaf tea! Especially the mint one! !